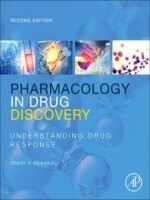 Pharmacology in Drug Discovery and Development: Understanding Drug Response, Second Edition, is an introductory resource illustrating how pharmacology can be used to furnish the tools necessary to analyze different drug behavior and trace this behavior to its root cause or molecular mechanism of action. The concepts discussed in this book allow for the application of more predictive pharmacological procedures aimed at increasing therapeutic efficacy that will lead to more successful drug development. Chapters logically build upon one another to show how to characterize the pharmacology of any given molecule and allow for more informed predictions of drug effects in all biological systems. New chapters are dedicated to the interdisciplinary drug discovery environment in both industry and academia, and special techniques involved in new drug screening and lead optimization. This edition has been fully revised to address the latest advances and research related to real time kinetic assays, pluridimensional efficacy, signaling bias, irreversible and chemical antagonism, allosterically-induced bias, pharmacokinetics and safety, target and pathway validation, and much more. With numerous valuable chapter summaries, detailed references, practical examples and case studies throughout, Dr. Kenakin successfully navigates a highly complex subject, making it accessible for students, professors, and new researchers working in pharmacology and drug discovery.